D’Marcus Simonds made a game-winning layup with .9 seconds remaining to lift Georgia State to a 74-73 victory over Louisiana-Monroe, avoiding the Panthers’ first Sun Belt Conference loss. Georgia State (13-4, 4-0) had a 21-point second half lead and lost it when the Warhawks’ Daishon Smith scored a layup with 5.5 seconds remaining. Simonds’ heroics extended Georgia State’s winning streak to six games. This loss is the second consecutive for Louisiana-Monroe on a last second shot, the first being a buzzer beater Georgia Southern converted to win 79-78 on Jan. 10. Simonds had a game-high 28 points on 11-of-24 shooting to go along with five rebounds. Devin Mitchell scored 16 points and went 4-of-10 on 3-pointers. The Panthers shot 9-of-28 from deep and held Louisiana-Monroe to an 8-of-31 mark on 3-pointers. But the Warhawks (9-7, 2-2) made 5 of them in the second half in addition to 10 2-pointers. Michael Ertel went 3-of-3 from three in the second half and finished with 18 points. Georgia State entered the second half leading 35-28 and picked up right where it left off in the first. Clicking on both ends of the floor, the Panthers went on a 23-13 run to open the frame, and held their game-high 21-point lead with 12:21 remaining. 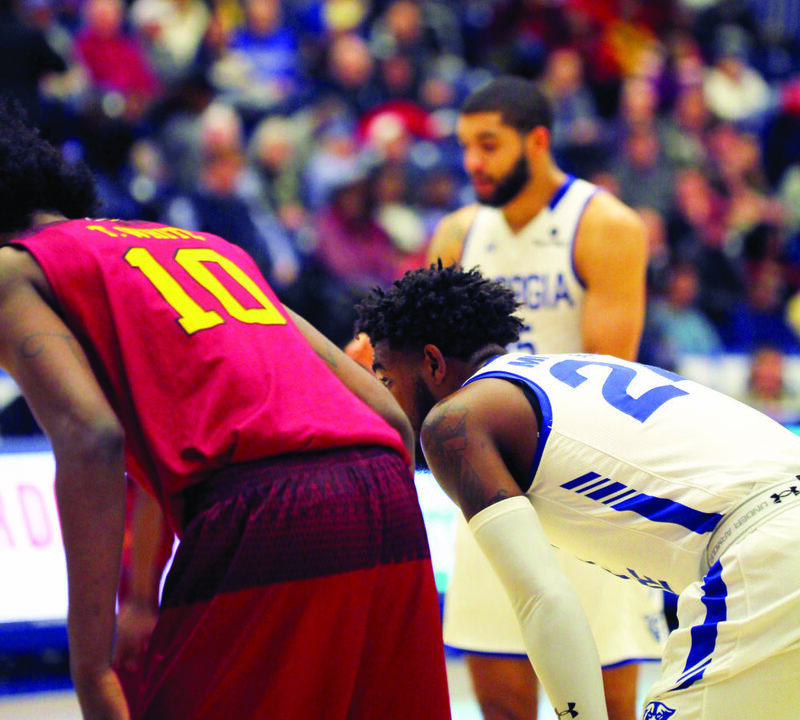 The situation quickly changed when the Warhawks cut the lead to eight points with 7:48 left on a pair of free throws by JD Williams, who led them with 19 points and seven rebounds. The Panthers are preparing for a two-game road trip beginning with South Alabama (9-8, 2-2) on Jan. 17 and Troy (9-7, 2-2) on Jan. 19.